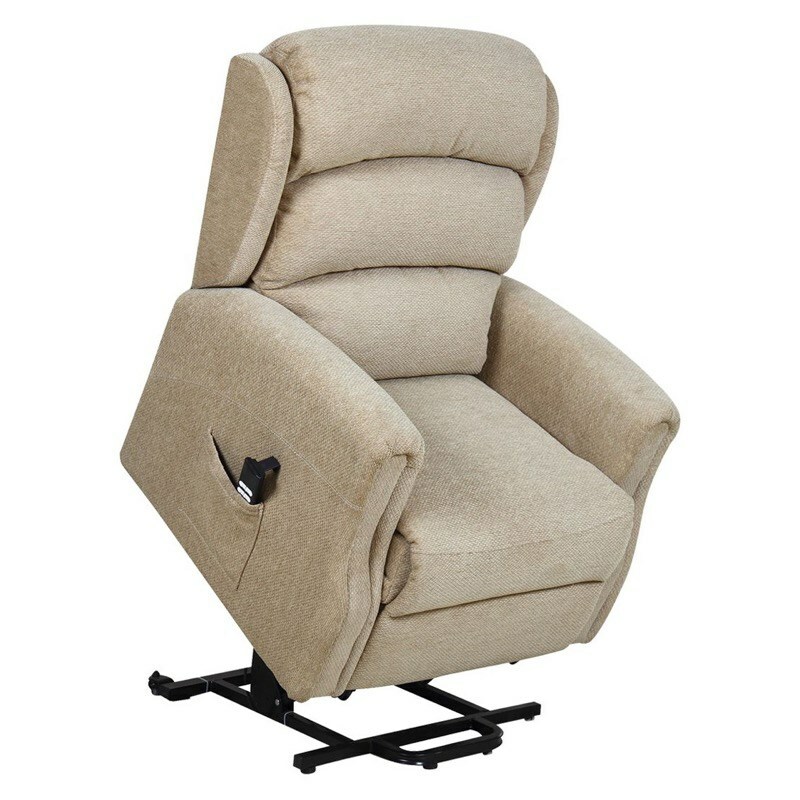 The Z-Tec M-Brand Wilmslow Riser Recliner chair has a dual motor with a four button handset. Soft Fabric and wooden frame. The Z-Tec Wilmslow Riser Recliner chair features a dual motor which enables the backrest and legrest to be operated independently. It also features a stylish waterfall back design which provides maximum comfort and it is available in three colours - Beige, Terracotta & Chocolate.